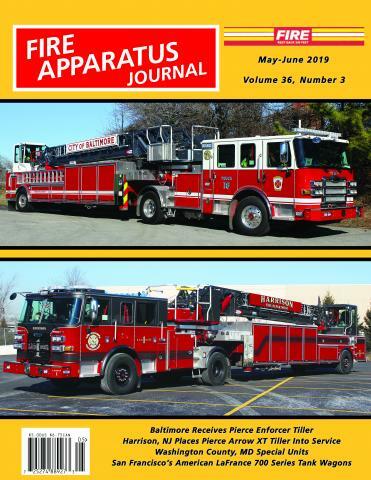 Westchester County by Joe Pinto | Fire Apparatus Journal Inc.
Westchester County is New York City's northern "suburb" which borders the borough of the Bronx. The county provides a diversity that includes large cities, urban inner city areas, suburban towns and villages, and rural areas. The Westchester County Update provides readers with current news on recent apparatus deliveries and an overview of fire departments located in the county. There are fifty-six fire departments covering 457 square miles and protecting well over 900,000 residents. Of these departments, there are four fully paid departments: Mount Vernon, New Rochelle, White Plains, and Yonkers. Many others have paid drivers, while others are all-volunteer. There is also an airport located within the county. At one time Westchester County's fire apparatus was predominately Mack, American LaFrance and Maxim. Today these names are rapidly disappearing, being replaced by Pierce, Sutphen, Seagrave, and Freightliner. The apparatus is as diversified as the various areas of the county, with urban departments and apparatus at the southern end while rural tankers are common at the northern end. The Westchester County Update is written by Joe Pinto. Joe Pinto is one of many apparatus enthusiasts who grew up spending a lot of time at the local firehouse. Joe spent part of his early years buffing with New York City Engine 41, located in his South Bronx neighborhood. Today you can find Joe with Engine 58 and Ladder 26, The Fire Factory. Joe has been a fixture with these two companies since 1980. His photography has appeared in several fire service books and New York City Fire Department Publications. Besides being the editor for the Westchester County Column, he is also a staff photographer for Code 3 Collectibles. Joe currently holds the rank of Honorary Assistant Chief of Department with the New York City Fire Department and is a member of the Honorary Fire Officers Association. Joe resides in Yonkers with his wife, two daughters and three grandchildren. When not photographing apparatus, Joe works as the Transit System Administrator for Liberty Lines Transit Inc. in Westchester County.